As much as we all love our canine companions, it would be hard to deny that young dogs and puppies can be just as difficult as human children. If you have ever dealt with a multiple-dog kind of living situation, you can probably understand how hard a bunch of rowdy animals can be on your home and its decor. The first thing to consider is your floors. If you are dealing with young dogs, hardwood or tile floor is ideal. 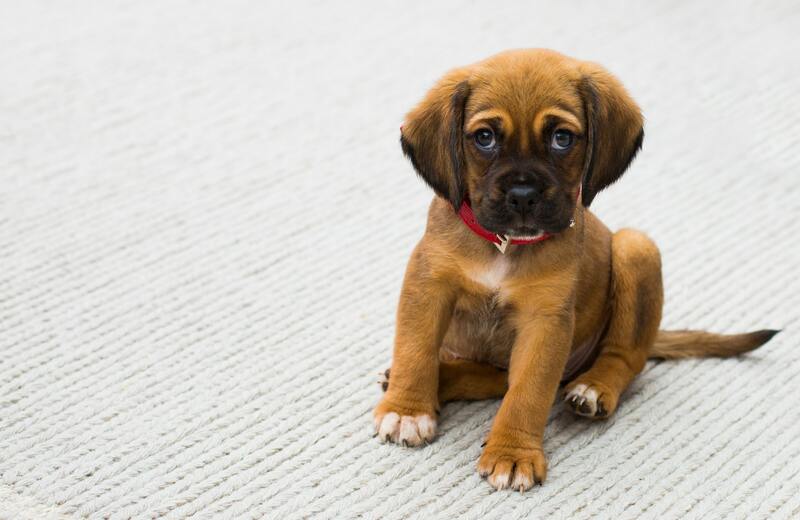 The speed with which a litter of puppies can ruin your carpet is amazing, so you might want to replace the carpet in the rooms where your animals spend most of their time. Ceramic tiles are available in all kinds of shapes, sizes, and colors. You can even make your own if you are the crafty sort. Clay is everywhere, and producing a flat square can be done quickly with a wooden frame for a mold. Carpet also poses potential health risks if your dog ingests them, especially if it is moldy. As for rugs, make sure that any rugs in your home are outdoor rugs instead of indoor rugs. These rugs are much tougher and much more resistant to stains and dirt. If you try to use indoor rugs, you will soon find that you have wasted your money. Outdoor-type rugs not only hold up better, but they are also much easier to clean. Let’s talk about curtains. Puppies and young dogs absolutely love to play tug-of-war with anything they can bite. Those low-hanging drapes and curtains are exactly the kind of thing that they will rip down and destroy. If you’re really unlucky, they might also defecate upon them for good measure. To combat this, use the shortest possible curtains that you can so that the little creatures won’t be able to pull them down. Now let’s talk about something called the bump test. If there’s one thing young dogs love to do, it’s romping around and playing. When you leave them home alone, you can bet that the problem will be exacerbated without the master’s influence. So, walk around your home and try to knock over various things. If you have something fragile on a thin stand, that’s not a good idea. Or maybe you have a low shelf full of rubbery or leathery items? Also a bad idea. If you can bump something with only your hand and knock it over, something needs to be done. Velcro can be a great way to secure items that worry you. Materials are also an important thing to consider. People like to experiment with all kinds of different decor, but having young dogs around will limit the use of certain materials. If you like glass furniture, you might want to reconsider your tastes. Not only is it easily destroyed, but it presents a genuine and potentially lethal risk to the health of your animal. Exposed cords and some electrical decorations present similar risks. You definitely want to avoid the use of leather or rope in your decor, unless it’s located up high where the puppies cannot get to them. Dogs really enjoy chewing on these things and will be irresistibly drawn to gnaw until nothing is left. While these materials are not frequently used for decoration, you should still be aware. They will also tend to chew things like foam, paper, and (of course) your shoes. One of the coolest things you can do is to integrate a play area into your home decor. Depending on the size of your dog, you could go several different ways with this idea. For instance, you could just create a stable stand with a rope ball hanging from it. With small dogs, you could make a little doggy condo and color it to match your existing decor. A small dog hammock or a fountain can also be incorporated into a doggy play area.